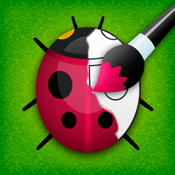 Animation HD - painting, drawing and animation on iPad for kids. 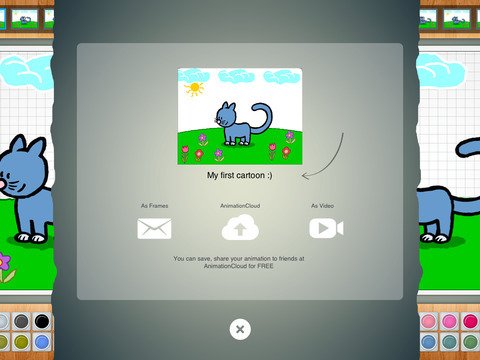 Animation HD is an engaging and simple-to-use application for drawing and animation for children and their parents. Your child can create a fully animated cartoon and revive his or her favorite fairy tale characters or comic book heroes in just a few minutes. Draw, create and make animated cartoons together with your kid! Let your child discover a wonderful world of animation and surprise him or her with a great chance to learn how to create cartoons in a simple and interesting way. The eyes of your kid will be full of joy and pride when he / she astonishes you by saying - 'Mom, I drew my first cartoon!' So magical, captivating, colorful and unique - the world of animation, now opens its doors for you with Animation HD! This app has been designed by truly passionate designers and talented developers. They built something unique and special that they hope will help you! We are looking forward to your suggestions and comments, which will to help us to make the application, Animation HD, even better and more convenient for you. If you enjoy Animation HD, please rate our app. Thanks!